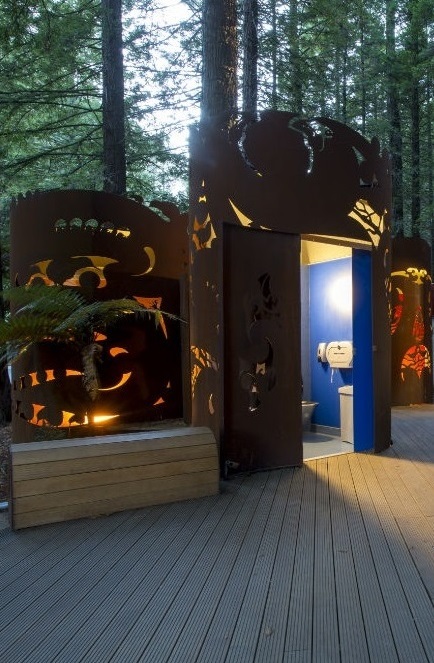 Redwood Toilets, Rotorua Redwoods Forest - Streetscape Ltd.
Set in a historic and culturally significant park, this project responds to the very functional requirement of ablutions for visitors, but crosses into the realm of public art and sculpture. 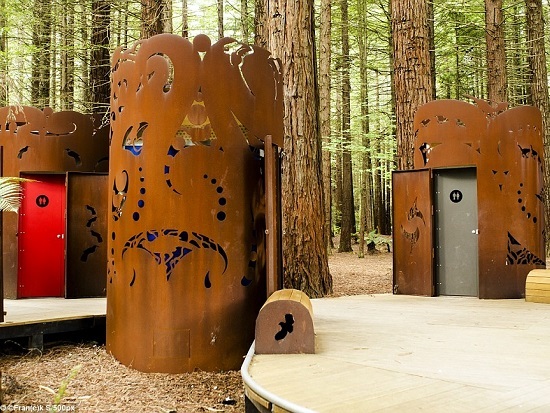 The shroud designs use cut corten steel, fusing the traditional Maori kowhaiwhai pattern with imagery of birds. 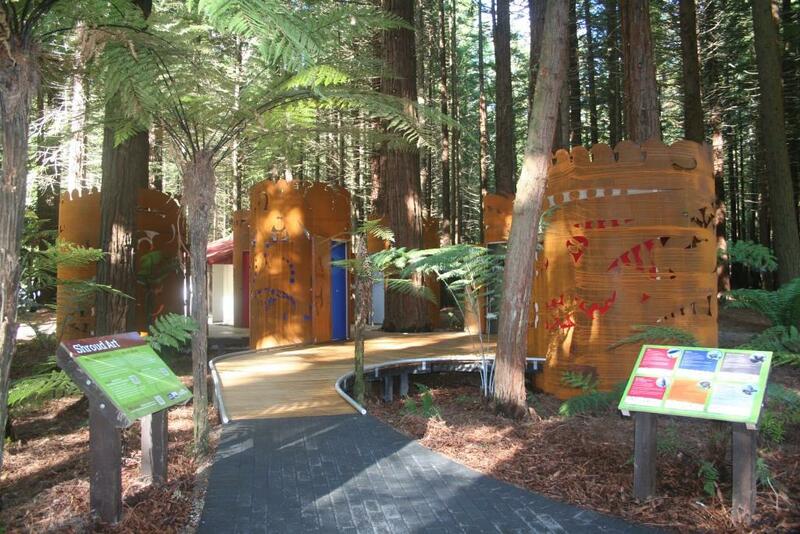 The designs focus on the fragility of New Zealand’s native bird species. 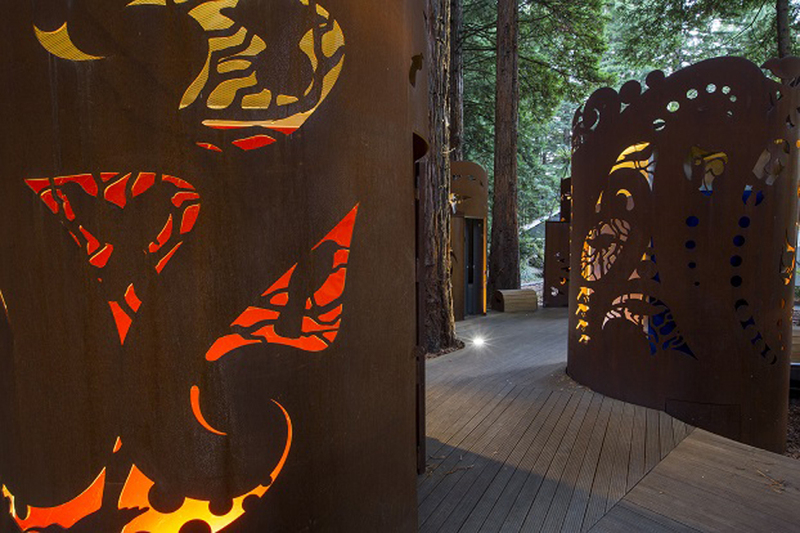 They serve as a reminder to be careful when we go about our everyday activities as our actions affect the environment its flora and fauna.